Whether you’re designing a glass desk from the ground up or searching for the perfect piece to elevate your office, here are 5 foolproof steps for choosing a design for the perfect glass desk! Let’s get started. Will your glass be structurally supported, or will it rest on top to protect the surface of the desk? This decision determines the thickness and strength of your glass, so it’s important to visualize your end goal when designing the perfect glass desk. Strength is important, and the wrong thickness could break under excessive weight. 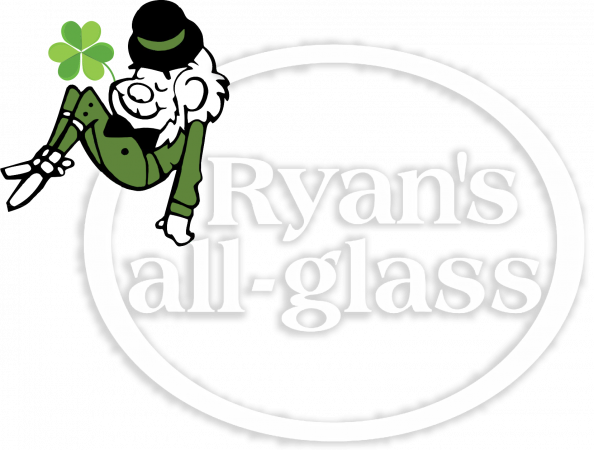 Ryan’s all-glass recommends ¼” thickness for protective desktop covers and ½” thickness for structurally supported desktops. While many glass options exist, tempered or annealed are the most popular elements when choosing glass desks. Annealed glass is simple, untreated glass. In most cases, ½” thick glass tops are strong enough on their own, but anything thinner, like ¼” or ⅜” thick glass should be treated for added strength. Tempered glass adds strength to your glass and is much harder to break. A result of outer compression and interior tension, the stress that creates tempered glass is why it’s known as safety glass. If shattered, the glass will break into safer pebble-like pieces, without sharp edges like other glass types. Once you’ve determined what the glass will be used for, choosing the type of glass needed for your desk is straightforward. Just because your desk is made of glass does not mean you are limited on decorative elements. Feel free to add your own personality and style to the piece. The structural design can be as creative as you’d like, from rectangles and circles to trapezoids and triangles. Glass desks can also be tinted, back-painted, stained, or cracked. Or, for a more traditional approach, simple, transparent glass offers clean lines and elegance for those wishing for a more minimalist approach. Edge treatment is a small detail that truly makes a difference in the style and aesthetic of the overall piece. It also speaks volumes to the environment it’s placed in. For instance, a beveled, or flat edge is modern and professional, with clean lines and a sharp profile. A waved or ogee edge, on the other hand, offers a bit more personality and speaks to the creative, fun nature of the surrounding environment. Edge corners also contribute to the style of a glass desk. When determining your final design choice, it’s important to consider where this desk will be housed. In high-traffic areas, you may consider a radius or clipped corner, either polished or beveled. In an office or as a centerpiece desk, a sharp or dubbed corner might provide the statement you are searching for. 5) Enjoy Your New Desk! You’ve determined the functionality and type of glass needed for your glass desk. You’ve selected the shape, decorative elements, and edgework design details that will showcase your style and flair. Now it’s time to make your vision a reality! If you’re searching for a new glass desk from retailers, you can pick something that fits your distinctive criteria. 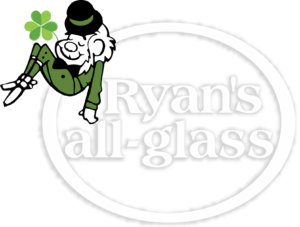 If you prefer a custom piece, Ryan’s all-glass in Cincinnati, OH can help you build a custom glass desk from the ground up! Browse through our website for glass inspirations, or, contact us today to start creating your dream piece!